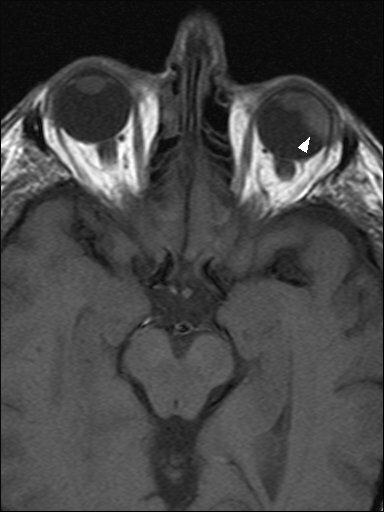 This pathway provides guidance on imaging patients with traumatic and non-traumatic orbital pathology. 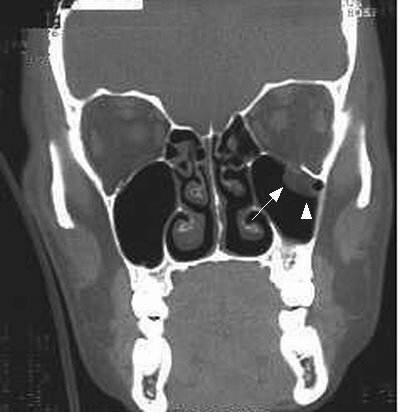 Coronal image demonstrating a traumatic fracture of the inferior orbital margin with soft tissue (arrowhead) and inferior rectus muscle (arrow) extending into fracture. 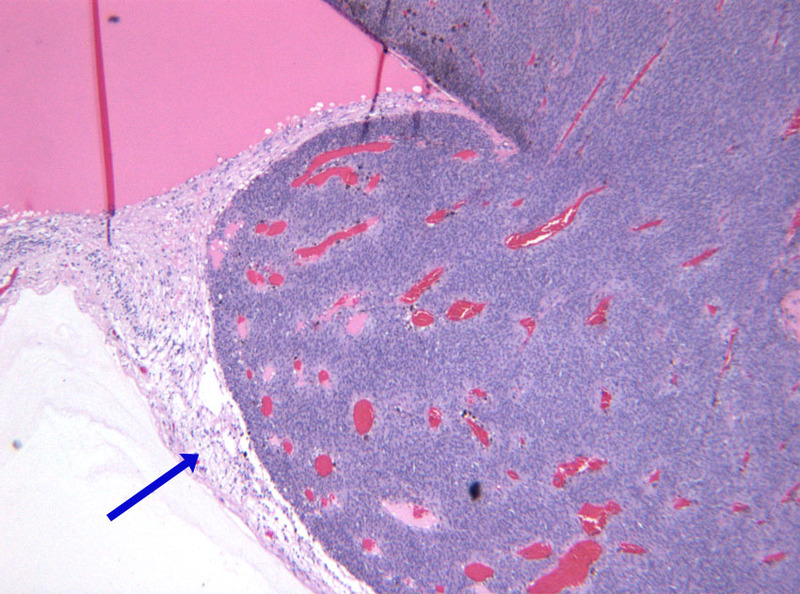 T1 and T2-weighted images showing melanoma of the left uvea (arrow). 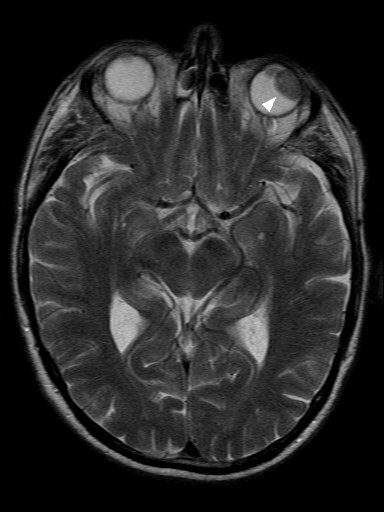 Orbital enucleation showing a uveal malignant melanoma (blue arrow) arising posteriorly and causing retinal detachment (white arrow). 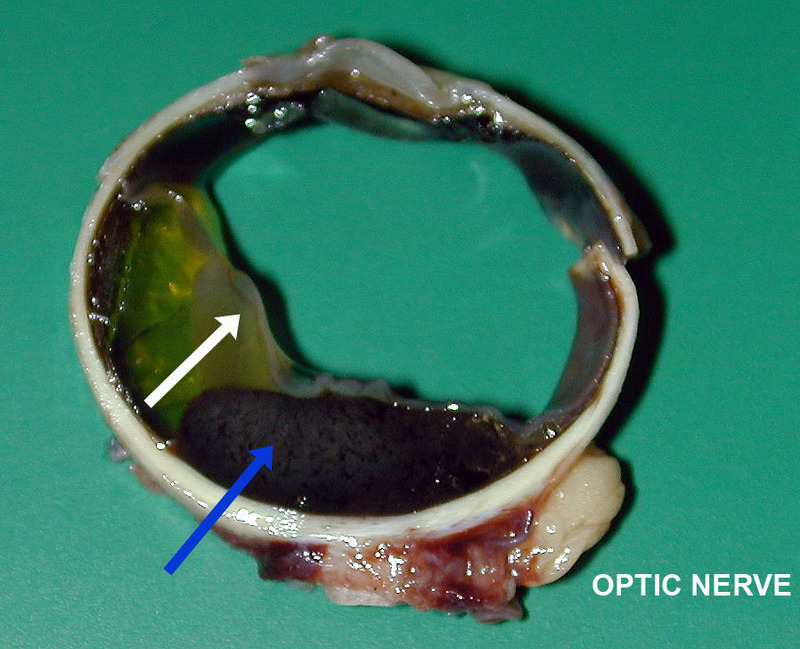 Uveal malignant melanoma infiltrating beneath the retinal layer (blue arrow) and showing marked nuclear atypia with cytoplasmic and extracellular melanin pigment production.